<nettime-ann> Präsentation: Urbane Intervention & Artist Book/ Sa, 13.3. Künstlerbuchpräsentation "Prinzenallee ein Stück ohne Dialoge"
Birgit Szepanski und Regine Rapp für Art Laboratory Berlin (Hrsg. ): Prinzenallee - Ein Stück ohne Dialoge. Berlin 2009. 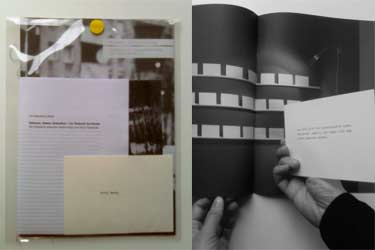 Presentation of the poster and storybook for "Princess I will follow you..."
Artist book presentation"Prinzenallee - ein Stück ohne Dialoge"
"Prinzenallee - ein Stück ohne Dialoge"
In 2008 Birgit Szepanski created a complex site specific installation at Art Laboratory Berlin, which referred to the street Prinzenallee in Berlin-Wedding as part of the exhibition series Art and Text. 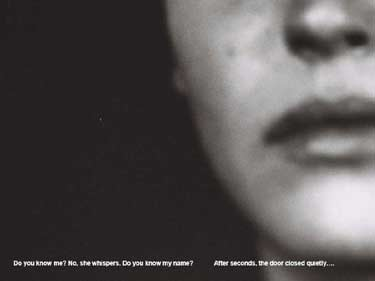 Over a number of weeks the artist recorded traces of the street in her films, photographs and texts. In decidedly minimal formal language she was able to unfurl the street into the exhibition space by means of language, image and sound. In this newly released publication this is further expressed in the form of an artist book. Special price for these dates: 20 Euro! Next by Date: <nettime-ann> Furtherfield now on Resonance FM - A must listen! Next by thread: <nettime-ann> Furtherfield now on Resonance FM - A must listen!